Perhaps you’ve settled down in your comfortable Siesta Key accommodations at Tropical Breeze Resort, and you’re looking forward to the rest of your luxurious beach vacation when you start to get hungry. The smell of the ocean brings cravings of lobster or fresh fish, so you head out to find the perfect seafood restaurant for the whole family. You need look no further than The Lobster Pot, which will satiate even the pickiest palate in your party. New England taste meets Florida’s flair at The Lobster Pot, which helps complete the regional feel of Siesta Key restaurants. The best catches from Florida’s waters are combined with local produce by Glen Medeiros, owner and head chef, to replicate Cape Cod’s finest recipes. Glen was born above the original Lobster Pot in Cape Cod, owned by his father, and after he graduated culinary school, he brought Cape Cod’s best to Florida residents. Open for lunch and dinner, guests can sit inside or out on the patio while enjoying recipes such as the Baked Stuffed Lobster Duchess paired with the authentic New England Clam Chowder. Land lubbers dine with their fish-loving friends, filling up on New York Strip steak, filet mignon, pork chops, chicken stir fry, and plenty of other options to keep everyone coming back for more. The Shore Platter offers a sampling of local clam strips, fish, scallops, and shrimp in a warm garlic butter sauce. Of course there’s Maine Lobster Tail, and 1 ¼ pound Maine lobster, boiled to perfection. 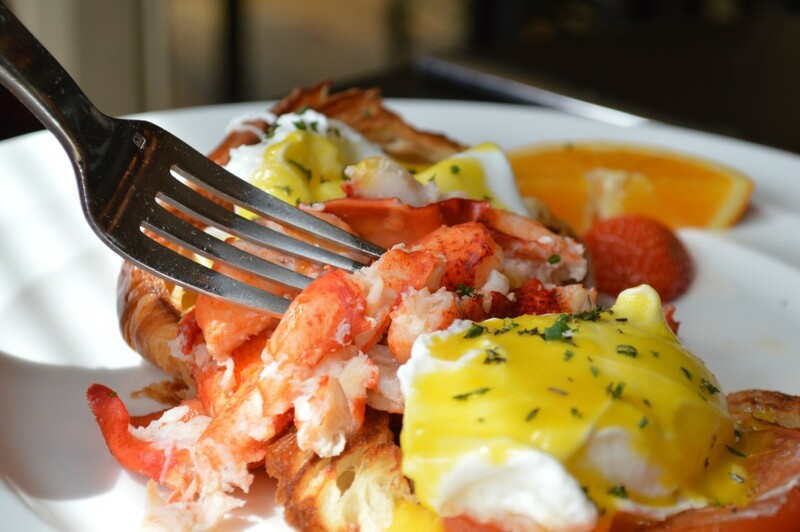 The Lobster Pot provides a family atmosphere mixed with the best tastes of the East Coast. The kids, or “Littl’ Mates”, love their menu, which includes standards such as pasta, hot dogs, or mac and cheese, alongside fish and chips or fried shrimp. The adults get to relax while the kids color and complete activities on their menus. Walking into the restaurant feels like walking onto an authentic Portuguese fishing village, with nets and nautical decorations everywhere. Diners can choose to sit in the back, away from the action, or closer to the large windows, where the Florida sun filters in all day long. Choose the patio to continue to enjoy the perfect weather throughout your meal. The Medeiros family encourages diners to “eat like locals”, and they provide the best when it comes to delicious meals made with local seafood. Every lobster at The Lobster Pot comes from Bar Harbor or Boothbay, Maine, and they are delivered to the restaurant quickly after capture. Whether the lobster is local or flown from Maine, you are guaranteed the freshest catch possible. Glen’s dream was to continue his family tradition of bringing New England to the world, and he looks forward to pleasing your palate with only the best. The Lobster Pot never disappoints with its unique seafood menu and expertly made entrees. When you’re ready to taste Glen’s delectable cuisine, call ahead to make reservations for large parties, or take your small group directly to 5157 Ocean Blvd, which is located just across the street from Tropical Breeze Resort!